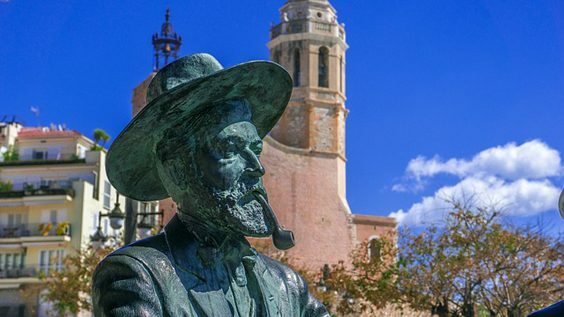 If you haven’t booked your holiday yet and are stuck for ideas on where to go, Sitges is a place that should be high on your list. It is a beach town about 30 minutes south from Barcelona and has a vibrant, lively vibe. The town has sandy beaches and is popular with everyone from families to the LGBT scene. In terms of accommodation, you can get a hotel in Sitges on the beach or stay in the Old Town. The beaches are great in Sitges. There are several which cater for you no matter who you’re with or your persuasion. The Platja de Sant Sebastià is more suited to families and is to the east. While Platja la Bassa Ronda is the main gay-friendly beach and arguably the most lively. No matter your sexuality there are plenty of beaches to get some sun and take in some great views of the ocean. If you can visit Sitges during The Sitges Carnival or during the Film Festival you should. The carnival takes place each year at the end of Lent and as you can imagine Sitges becomes planet glitter. The floats are bold, the costumes outlandish and the after parties wild. Sitges is a town that knows how to use the beach and does so successfully year on year. Barcelona is the big city in Spain but Sitges is the fabulous one. The Film Festival is a different experience and just as exciting. The biggest films on the planet are shown over the duration of the festival with the big directors and actors promoting them. Previous editions have seen Sir Anthony Hopkins, Quentin Tarantino and Cameron Diaz at the festival, giving interviews and promoting their offerings. One of the highlights of the festival is the zombie walk that parades through the city centre. At the end of the walk, the live ball starts in typical Sitges style. As well as the beaches and the festivals there are more relaxing things to do in this remarkable town. If Bacardí sounds familiar then you are obviously familiar with Bacardi Rum. Bacardi was invented by Facundo Bacardí Massó who was born in 1814. You can visit Casa Bacardí and learn how rum is made and try some quite marvellous cocktails in the process. Although the legend has become Cuban it actually started in Sitges. Although the LGBT scene is dominant in Sitges with bars, nightclubs, and cocktail haunts, there are other places to go if the Carrer del Pecat or ‘Street of Sin’ is not for you. The Carrer Santa Bonaventura offers a quieter place to sip a cool beer and the El Piano bar features over the top drag queens. The Skybar in the MiM hotel not only provides a good cocktail but impressive vistas from the rooftop bar which allows you to take in the whole town in the moonlight. Make sure Sitges is high on your list when booking your holiday. You won’t regret it.